Welcome to our showroom in Brooklyn and get the discount on medicine cabinets and mirrors with lights. At Aquadom, we strive to bring you the highest quality medicine cabinets. With that said, we would like to showcase the ROYALE PLUS LED medicine cabinet. 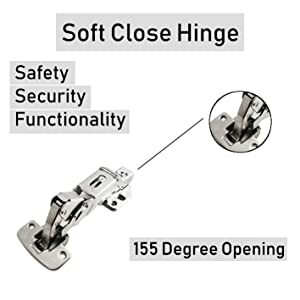 Constructed from high-quality aluminum which is rust proof. Equipped with cool temperature LED dimmable lights on the mirrored doors which are attached by 155-degree soft close hinges and an interior electrical outlet on the inside of the cabinet. The ROYALE PLUS medicine cabinet can be recessed or surface mounted with the side mirrors included at no additional charge. This beautiful medicine cabinet is available in eight sizes and is a great addition to any bathroom in your home or rental property. AQUADOM Royale Plus has a built in cool lighting technology. 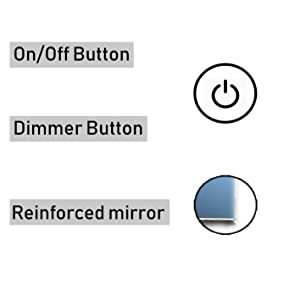 AQUADOM’s Royale Plus is fitted with an on/off button, which also functions as a light dimmer. 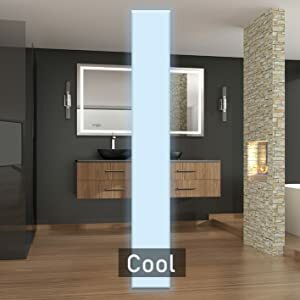 A reinforced 5mm mirror is also utilized in this model in order to make it extra durable, automatic defogger is also installed in order to keep the mirror fog free and the reflection clean! 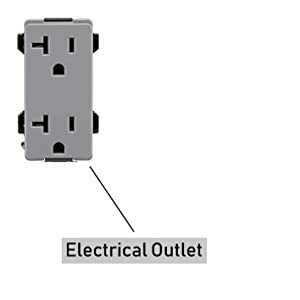 On the inside of the cabinet you will find a double electrical outlet. Plug in your various appliances and enjoy the convenience of our Royale Plus cabinet.